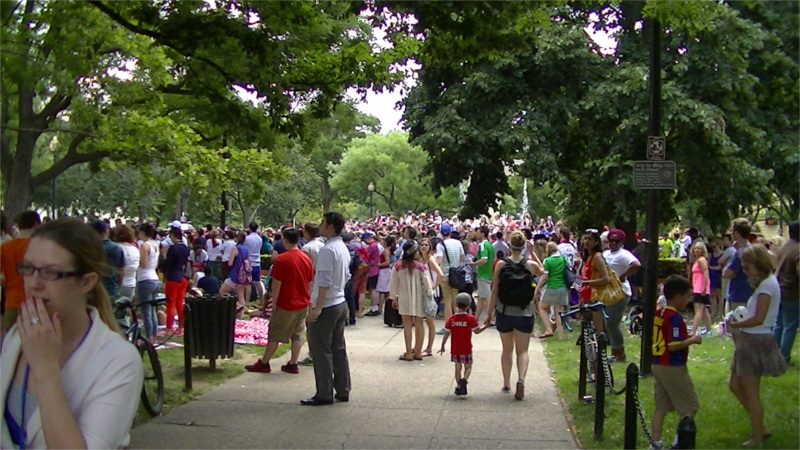 Thousands gather in Dupont Circle to watch World Cup "Eviction Games"
On the 26th of June, a huge, mostly white crowd gathered in Dupont Circle to watch the US team lose to Germany in the World Cup. These Eviction Games were made possible by tens of thousands of evictions of favela residents in Rio and tens of thousands more in the rest of the country. The next Eviction Games in Brazil are the Olympics, and here in DC the rich want both the Olympics in 2024 and the evictions. No doubt some of this crowd in Dupont Circle would cheer just as lustily for the bulldozers knocking down people's homes to make way for them as they would for their favorite athletes.